Eddie Campbell signs The Amazing Remarkable Monsieur Leotard. Join comic artist Eddie Campbell as he signs copies of his new graphic novel THE AMAZING REMARKABLE MONSIEUR LEOTARD (First Second). Step right up, Ladies and Gentlemen, for a glorious spectacle of graphic literature beyond your wildest imaginings, in which young Etienne discovers that replacing his uncle as the Amazing Remarkable Monsieur Leotard, world-renowned acrobat and head of a circus troupe, is every bit as difficult as it appears to be. Etienne is swept up in wonder and work even as he struggles to keep up his grandiose façade, while every day his chances for happiness slip further away. For Etienne, taking a stand for his own happiness is as daring as any trick the Amazing Remarkable Leotard could perform. Eddie Campbell and Dan Best bring to life the historical story of the daring young man on the flying trapeze in a tale filled with wonders and marvels. Eddie Campbell has earned an international following. For over 25 years, he has blazed a trail in the world of graphic novels, and his work has earned nearly every honor in the field, including the Eisner, Ignatz, and Harvey awards. 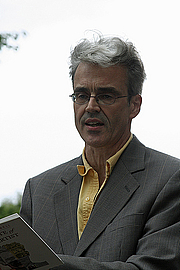 Eddie Campbell is currently considered a "single author." If one or more works are by a distinct, homonymous authors, go ahead and split the author. Eddie Campbell is composed of 2 names. You can examine and separate out names.